"It started with a simple battery," wrote Julie Creswell for the New York Times. Around 2009, Amazon quietly entered the private label business by offering a handful of items under a new brand called AmazonBasics. In just a few years, AmazonBasics had grabbed nearly a third of the online market for batteries, outselling both Energizer and Duracell on its site. 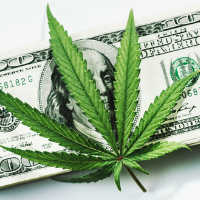 A big shift is coming to the cannabis market... and it's now time to learn how to capture what could be the biggest gains in cannabis stocks yet. Click here for more details on our free, first-ever Cannabis Event.